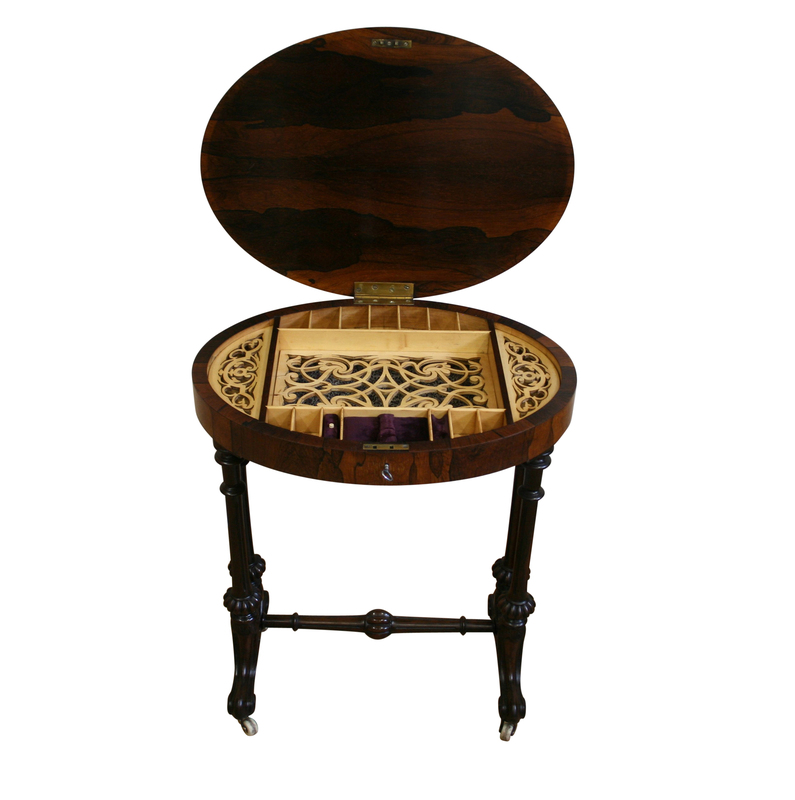 A Victorian rosewood work table. 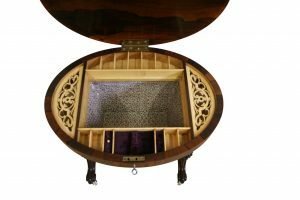 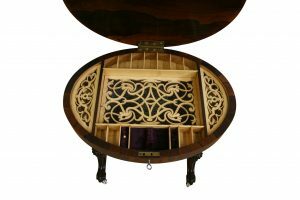 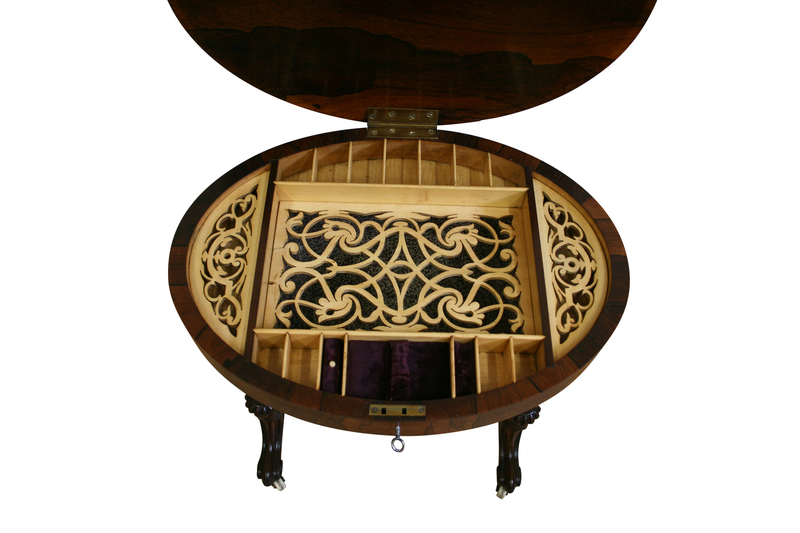 The veneered top, with working lock and key opens to reveal a fitted interior. 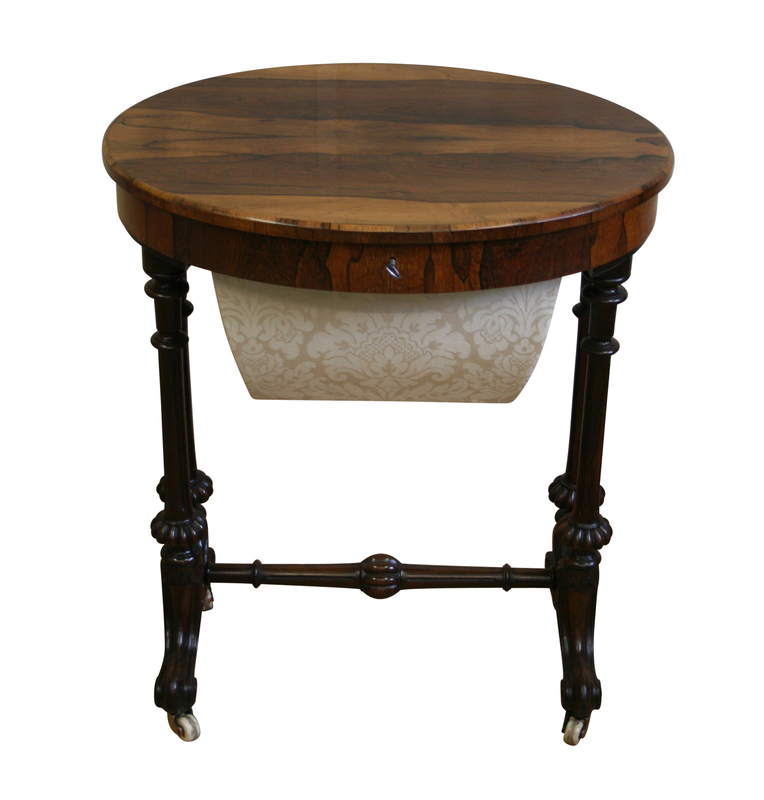 The lids are finely fretted sycamore with original lining paper in the basket. 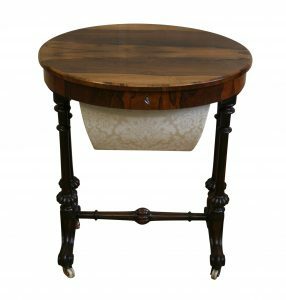 It’s supported on turned and carved columns that are united by a turned stretcher rail. 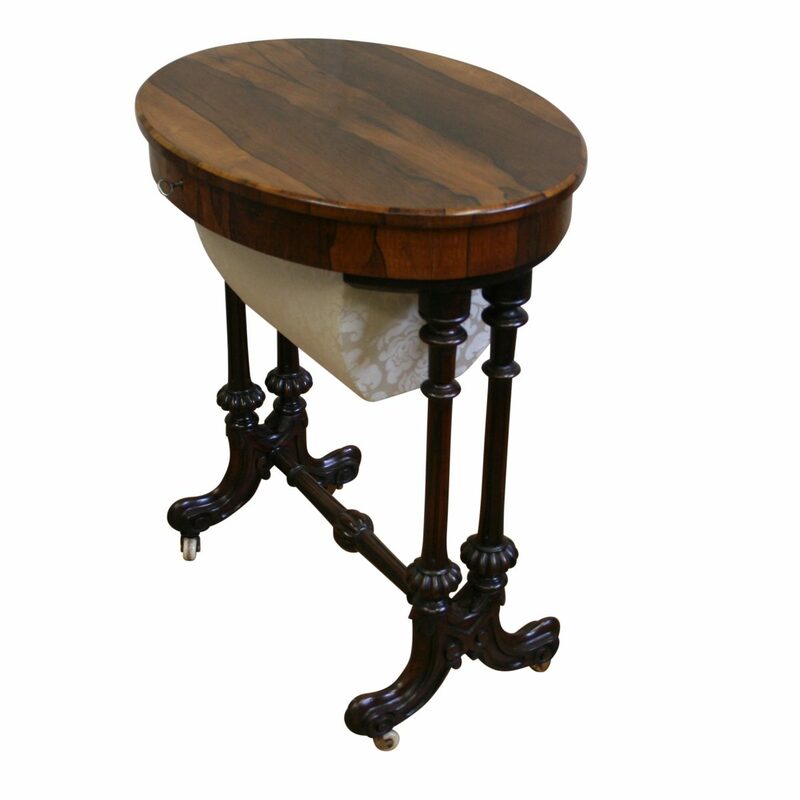 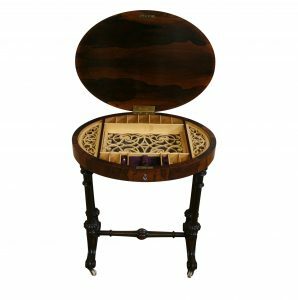 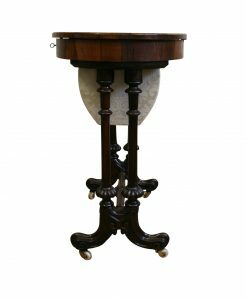 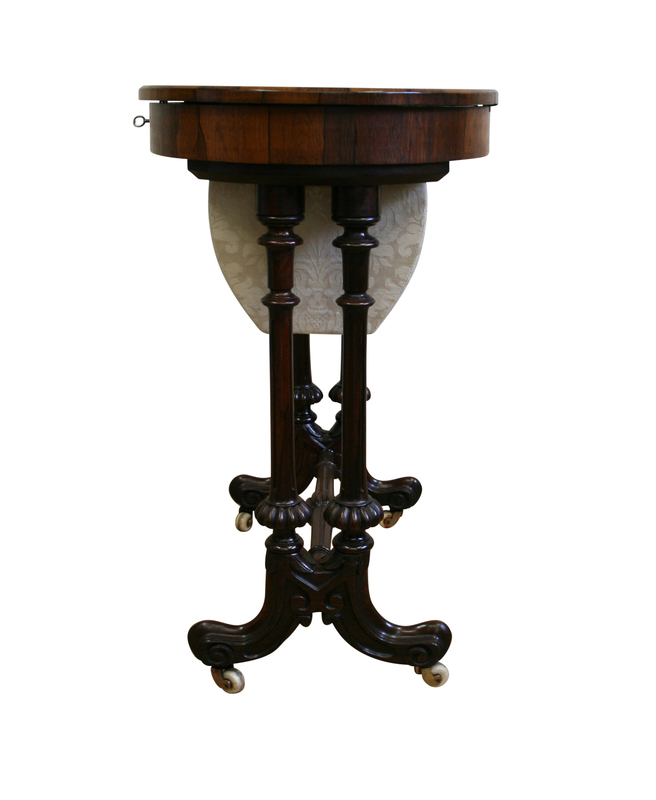 It is raised on carved cabriole legs with brass and porcelain wheeled casters.